Residents from the Bronx and Manhattan told DOT last night how they want to improve walking and biking across the Harlem River bridges. 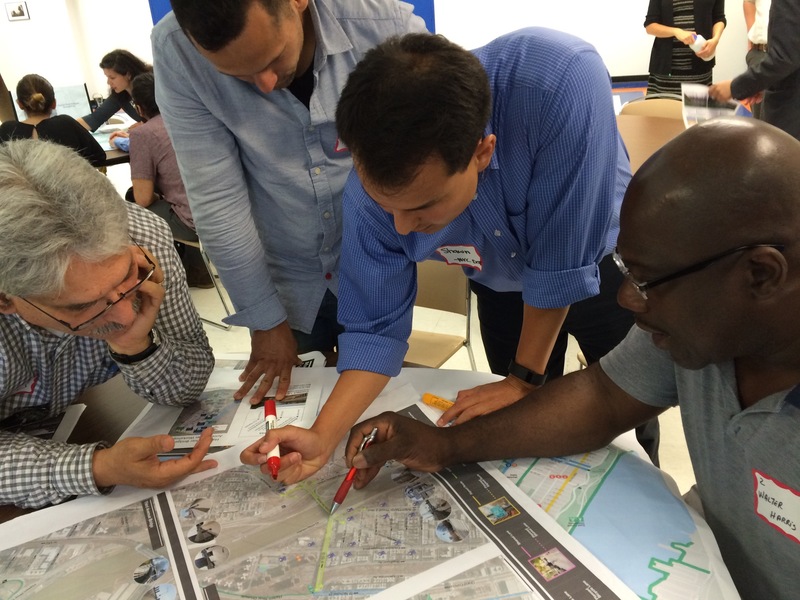 It was the second of four Harlem River bridges workshops this month. DOT is looking to improve access at all 16 bridges along the Harlem River, including the soon-to-open Randall’s Island Connector. Streets up to a mile inland on both sides of the river fall within the scope of the project. Attendees last night split into three groups to highlight problem areas and offer suggestions. Most wanted wider paths on the bridges, safer intersections where the bridges touch down, and protected bike paths connecting nearby neighborhoods to the crossings. There were also smaller requests, such as better signage, more lighting, mirrors on blind corners, and improved snow clearance. The agency will present conceptual designs this fall, followed by a draft plan by the end of the year and a final report in spring 2016. Friedman said DOT hopes to go before community boards with a first round of short-term projects next year, while developing long-term capital projects to improve bicycle and pedestrian access to the bridges. The latest round of planning builds on work by the Department of City Planning, which issued the Manhattan Waterfront Greenway Master Plan in 2004 and the Bronx Harlem River Waterfront Bicycle and Pedestrian Study in 2006. This is really great news. Those bridges are confusing at best, and terrifying at worst. A stretch of 138th Street linking the Bronx to Manhattan is in line for walking and biking improvements from DOT.